Is it just me that doesn't really know what Christmas cake is? 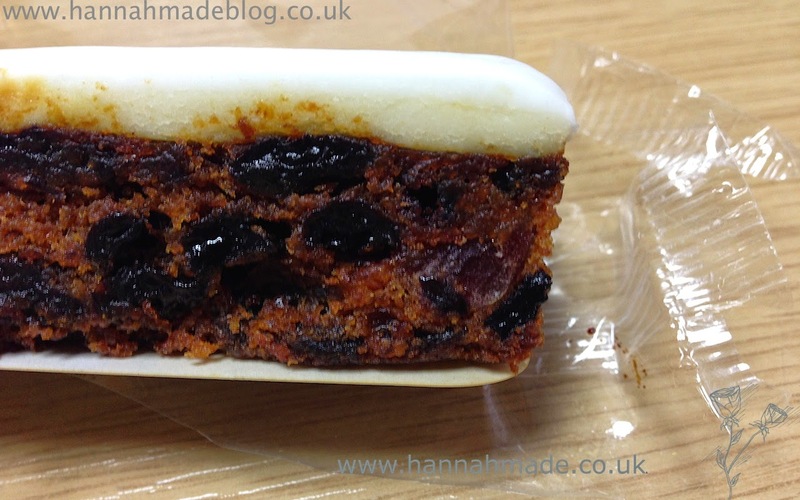 To be honest Christmas cakes confuse me, they all seem very much the same, filled with boozy raisins and always a deep shade of brown and look extremely and suitably stodgy for Christmas. But being the gluten free food hunter that I am, I found these in Costa, I had to pick one up to try, purely because it was gluten free and I like to try as much as I can find as although gluten free is becoming more mainstream, it's not yet reached the point where you can eat anywhere you fancy and find any food you want. The other main reason I picked this up is for the icing, I could just eat sheets of fondant icing by itself. I always thought this was the best bit of a birthday cake! 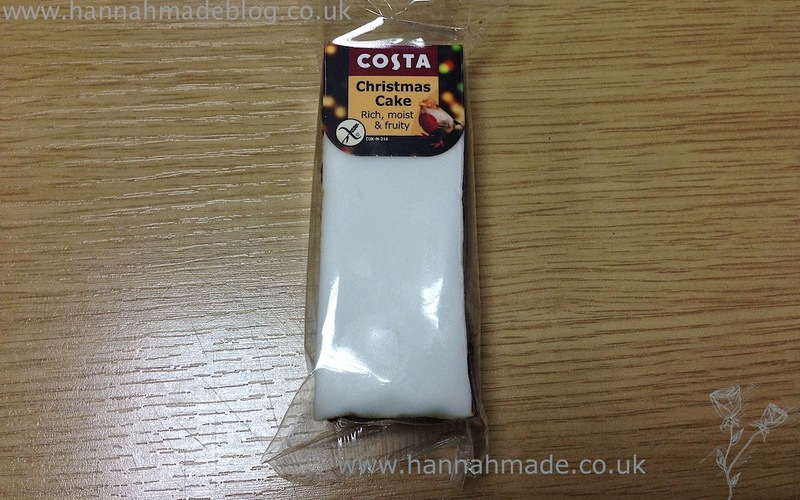 This cake I believe retails for around £1.65, I cannot quite remember, but I do know 10p is donated to the costa foundation, which supports coffee growing communities and considering the amount of coffee I drink I think this is a well deserving charity. This cake is very rich, which meant I only managed to eat half. The texture is very much like a typical fruit cake with soft dried fruit suspended in a dense, almost sticky sponge. I am not always the biggest fan of fruit cake as I don't like food with too many spices such as cinnamon and clove, but these flavours are not present in this cake. It was actually a very subtle flavour for a fruit cake, combined with the icing and marzipan meant it definitely had the essence of christmas without full on spice explosion. This cake is packed with fruit, from what I can tell it is essentially cherries and raisins, but there is nothing worse then being promised a cake filled with an ingredient and you get one or two if you're lucky! This also does mean it's quite a bit more nutritious than other cake like a brownie as it is much higher in fibre. I found this cake was a good middle ground as it was not too spiced but at the same time it was most definitely a christmas/winter cake. It's a very naughty treat and 350ish calories, but that's what christmas is all about! It's put me in the mood to get out Christmas films and stuff myself silly already!